The Bolster Couch is made from luxurious microsuede. The inside cushion is tuffted to keep the premium polyfil in place. The bolster has removable liner for easy machine wash and care. Pet Bolster Couch has different options and/or variations, please choose below. The Bolster Couch is made from luxurious microsuede. The inside cushion is tuffted to keep the premium polyfil in place. The bolster has removable liner for easy machine wash and care. 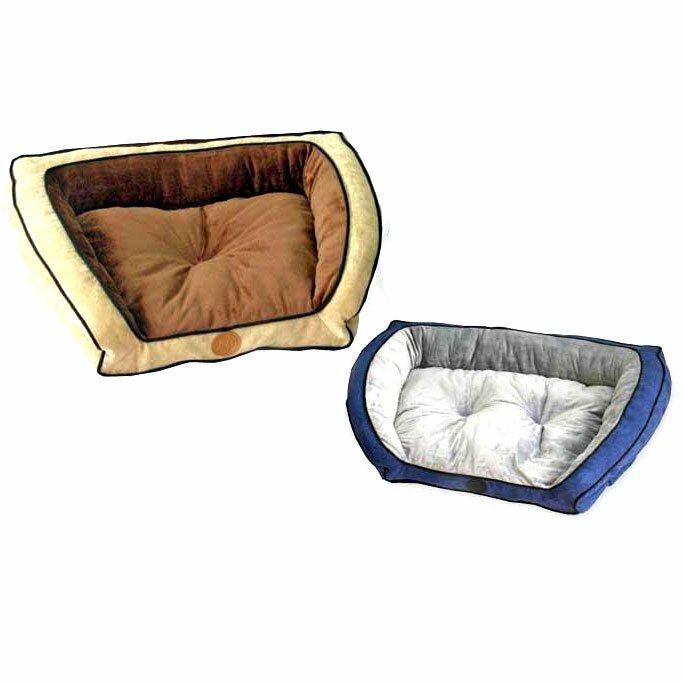 This bed is great for pets that like to feel secure and surrounded by a bolster. A sleep easy bed for any room in the house. Available in 2 sizes and 2 colors. • Available in 2 sizes and colors. • Fill made from recycled plastic bottles. • Removable cover and liner. • Easy wash and care. Continental US shipping costs start at: 7.99 (We do not charge handling). Cart total >$100 qualifies for free shipping. *Weight restrictions may apply. Individual item shipping carrier fee ( if applicable ).